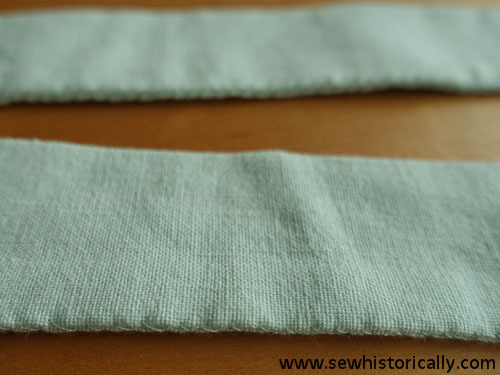 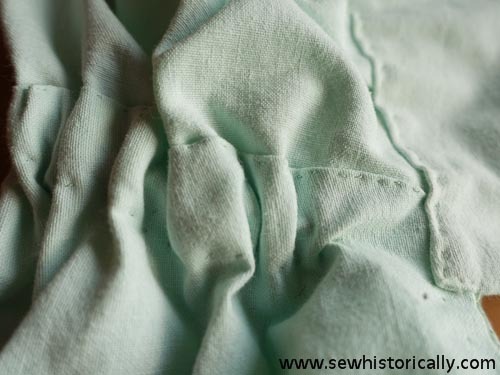 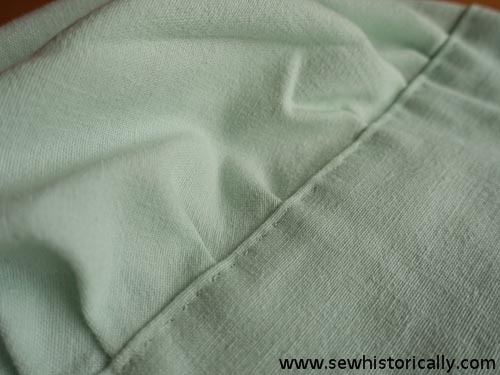 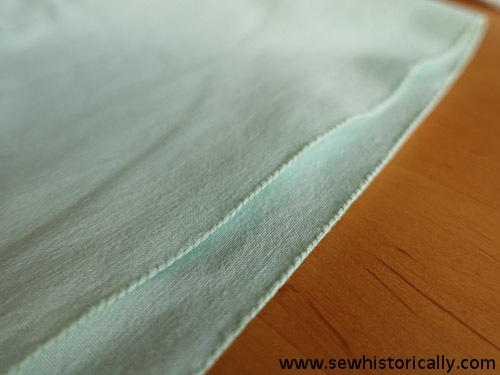 Some close-ups of my Victorian mint green cotton sunbonnet, which is handsewn in about 6 hours. 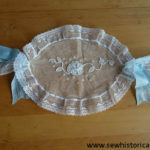 I’ve attached the crown to the brim with running stitches. 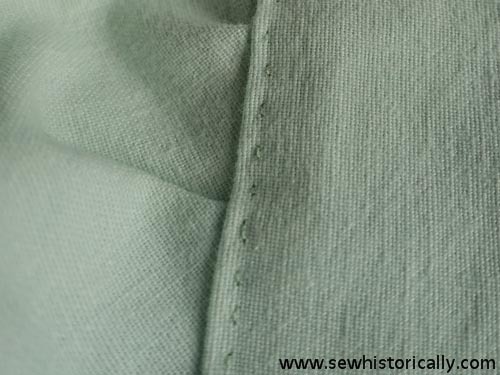 At the front of the brim are overhand stitches, but rather as decoration than that they are needed. 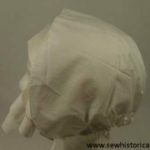 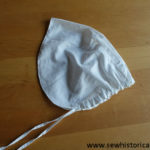 At the back of the sunbonnet is a casing for the drawstrings. 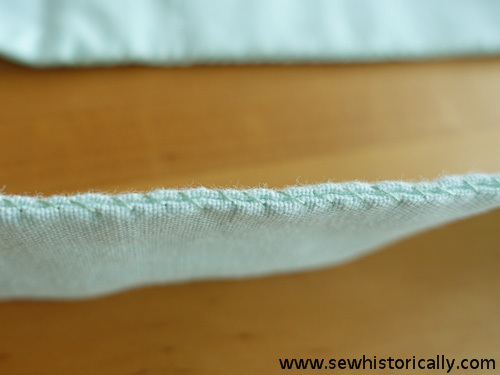 The cap strings are finished with overhand stitches.